Wilder, Macy, Dot, Karma and Ed continue their hunt for notorious pirate Black Mary’s secret treasure, and uncover their sleepy town’s hidden secrets. With tensions running high, and the smell of the sea (and unclaimed treasure) fresh on the breeze, the girls will have to work together to keep clear of the Denbys and Horace Shipp, not to mention Wilder’s increasingly suspicious sheriff mom, to get out of this without walking the plank! 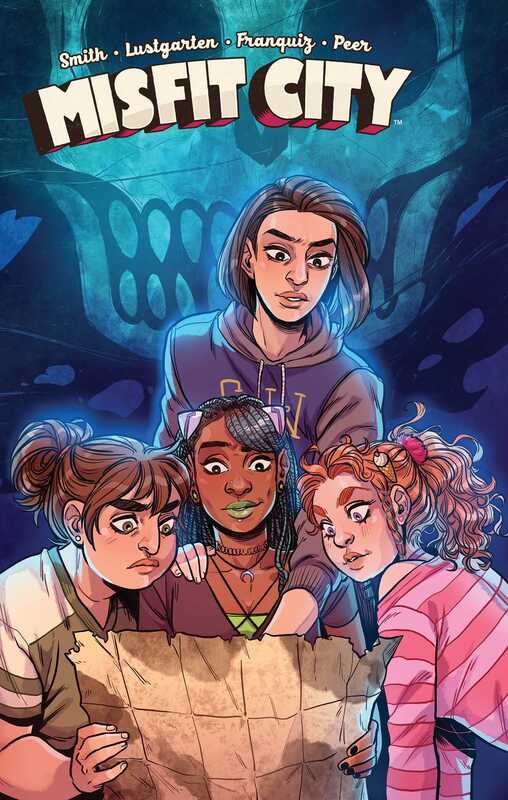 Collects issues 5-8 of the acclaimed series written by Kirsten ‘Kiwi’ Smith (Legally Blonde) and Kurt Lustgarten, and illustrated by fan-favorite artist Naomi Franquiz. Expect more crackling banter and a hoard of pirate booty in this series’ exciting conclusion!